Large evergreen cypress family trees. They are rare relict plants. They not only have important scientific value in the study of plant phylogeny, but also are important fast-growing afforestation tree species. They are one of the most famous building tree species. Their wood is light, soft and has dense & straight grain. They are mostly produced in Yunnan, Guizhou, and northern Burma, but very rare. Dipterocarpaceae evergreen tree, only found in some parts of Yunnan, Guangxi. They have straight trunks, board roots, are fine tropical timber species. They are also important in studying tropical flora of China. As their Chinese name (sky watching tree) implies, they are expected to watch the sky, can be up to 70 meters in height. They are the world’s best timber trees for ships and vehicles. They are only produced in the old-growth forests of Xishuangbanna. Nyssaceae deciduous trees, also known as “water pear”. 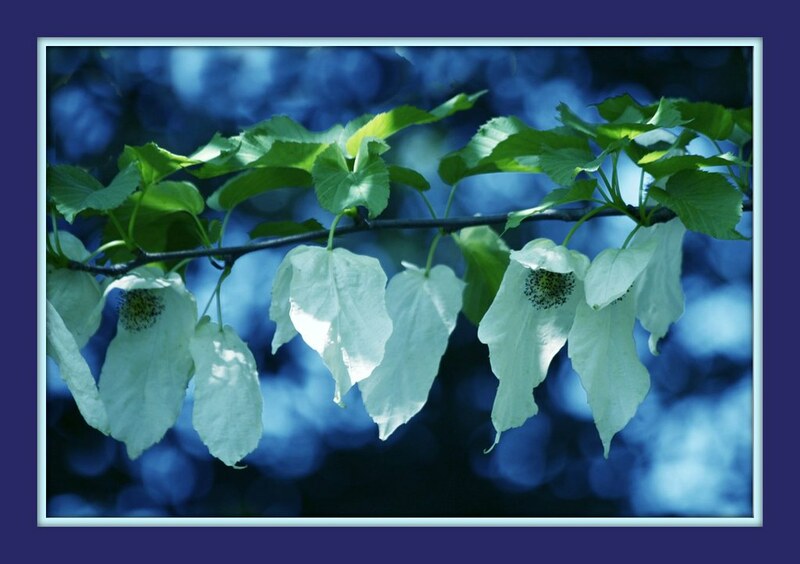 Their exotic flowers have two sheets of white bracts, just like the wings of a dove, so they are called “the dove trees”. Endemic to China, they are relict species of Tertiary ancient tropical flora. They are world famous ornamental trees, found only in Xingshan County, Hubei Province. They are difficult to breed, their survival rate is low, and they are also difficult to transplant, so their total number is diminishing. Theaceae evergreen shrub or small tree. located in Guangxi. 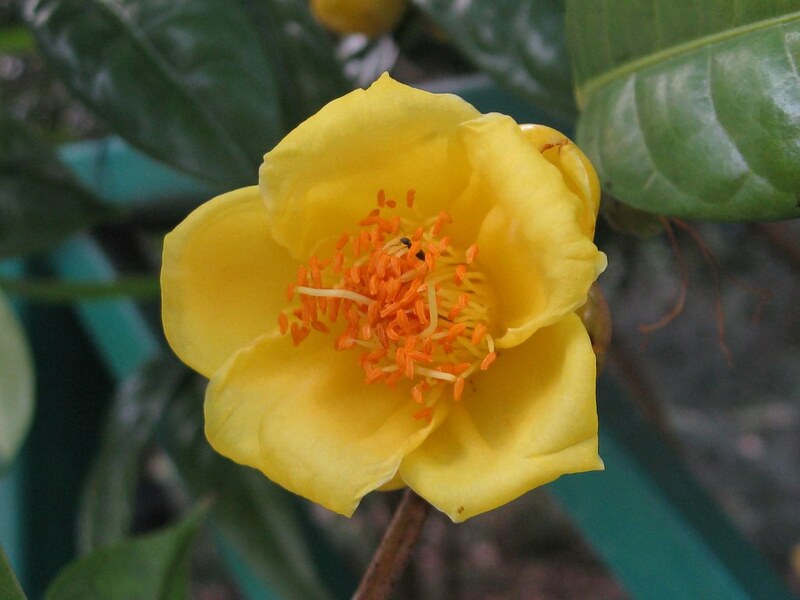 Petals yellow with a waxy luster, they are China’s precious resources, known as the “Queen of Camellia”. One of our most precious ornamental plants. They not only have pleasing beautiful flowers, their leaves are premium grade tea and can be used as herbal medicine. They are found only in Yongning, Dongxing and other places of Guangxi province. They are not transplantable.